Looks: A+) Little bits of blue among a nice light green and orange. Very Nice. Smell: A+) Smells very fruity; Comparable to True Blueberry. Taste: A+) Very nice smooth taste. A bit sour on inhale and very sweet on exhale. Potency: A+) Very strong but comes on slow and hits hard! About 5 minute incubation…then THWACK! Looks: Dark purplish-redish hue. Looks alone cause mouth to water. Smell: I would say it smells like blackberries. If dark purple had a smell, it would be comparable to this weed. Taste: A little sweet and sour at the same time, but not like diesel. Has a fruity aftertaste. Effects: Effects are felt immediately. Actually, it’s known for hitting quickly. Good for sitting around at home and listening to trippy music or watching a trippy movie. Droopy eyes are to be expected. Sativa effects are present. Causes one to desire company and good,intellectual conversation. Good Strain For: Relaxation, creativity. Genetics: Unknown: Possibly Blackberry x Bubba Kush (Blackberry = the black x Afghani Landrace) (The Black = Afghani Landrace x Nepalese Landrace/Hawaiian. I have also heard people say it is D J Short’s Blueberry x Bubba Kush??? 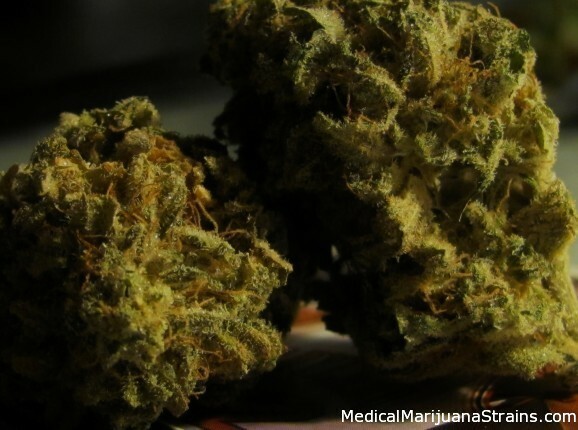 Good Strain For: Pain, insomnia, extreme muscle relaxation, might be a bit too much for some patients with anxiety, as it comes on very swiftly and is abit overwhelming. 9/10 for medicinal qualities. Overall this Kush has impressed me very much, coming in a close second only to some Power Kush I puffed recently.